Redlands’ Hangar 24 Craft Brewing, having rectified their sour beer issue, is moving on to other things. Two of those things are happening this weekend. The brewery’s Double Betty double IPA is making its debut in pint can four-packs Saturday (February 24) at the brewery and Monday (February 26) at your favorite retailers. 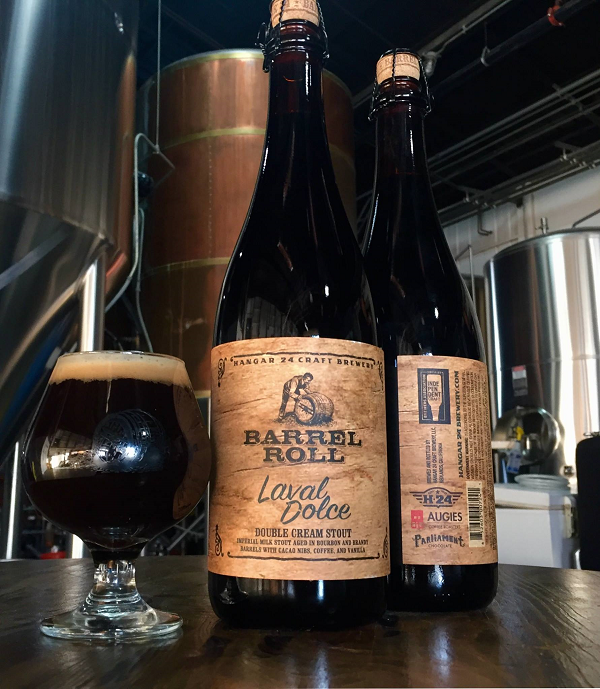 Then, at 1 p.m. on Sunday (February 25), the brewery having a presale via Brown Paper Tickets of a variant of its Barrel Roll Double Cream Stout, Laval. The tiramisu-inspired variant, Laval Dolce, was made in collaboration with Augie’s Coffee and Parliament Chocolate. Laval Dolce was created by adding Guatemalan El Diamante coffee, Tanzanian cacao nibs and Madagascar vanilla beans. Laval Dolce will be available for pickup — and Laval available for purchase — during the Laval-a-Palooza, set for March 3 at the brewery.